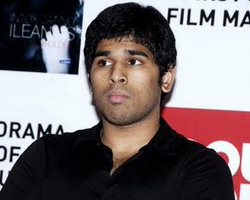 Allu Sirish: Perfect brother to Allu Arjun. Allu Arjun is hailed in Tollywood circles as a party buff who always chills with friends and girls always surround him whenever he moves into pubs and restaurants. Being energetic enough to all his friends is treated as specialty in Allu Arjun. Nothing less than his brother is Allu Sirish, who is always treated as a party maniac. With his recently launched magazine South Scope Allu Sirish is busy all these days. But the very special thing about this young lad is that, however busy he might be he finds place to chill up in evenings in pubs and parties. Telangana cine Directors support for T- state.